The Department of Atmospheric Sciences has received generous donations in support of two endowed lecture series. They are the Fleagle Visiting Faculty Fellowship in Atmospheric Sciences Policy and the Peter V. Hobbs Memorial Endowed Lectureship in Experimental Meteorology. More information on upcoming and past lectures can be found on the sidebar. The Fleagle Visiting Faculty Fellowship in Atmospheric Sciences Policy at the University of Washington was established by Emeritus Professor of Atmospheric Sciences Robert G. Fleagle to broaden understanding for students, faculty, and the broader public of the interaction of the atmospheric sciences with national policy. The visiting faculty member is expected to interact with faculty and graduate students through a set of linked lectures during his/her appointment and to present one or more public lectures on a topic of current public interest. Opportunities for interviews on radio and with editorial boards of local papers might be sought. Candidates for this visiting faculty fellowship shall have made outstanding achievements in both science and policy and shall not be currently employed by the University of Washington. The person selected should have achieved distinction both in science and in policy (leadership, administration, or scholarship). The recommendation for appointment shall be made by the Dean of the College of the Environment, in consultation with the Chair of the Department of Atmospheric Sciences in accordance with University policies and procedures for faculty appointments, and shall be subject to approval by the President and the Board of Regents. Each appointment shall be for a limited term, as recommended by the Dean of the College of the Environment, in consultation with the Chair of the Department of Atmospheric Sciences, and shall be subject to review in accordance with University policies and procedures. A.B. degree in physics from Johns Hopkins University and a Ph.D. in physics-meteorology from New York University before joining the UW faculty in 1948. His initial strong focus on atmospheric research gradually broadened to embrace a growing interest in the application of the science to issues of public policy. He served in the Office of Science and Technology, Executive Office of the President, in 1963 and 1964 to oversee atmospheric research of the government agencies. Here he witnessed and participated in many of the crucial actions that led to major advances in the science and to increasing recognition of the importance of atmospheric processes to the welfare of the planet. 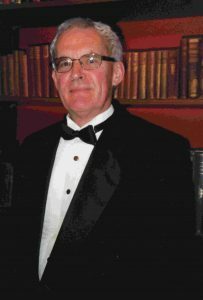 In later years he served as Chair of the UW Department of Atmospheric Sciences, Chair of the Committee on Atmospheric Sciences of the National Academy of Sciences, Chair of the Board of Trustees of the University Corporation for Atmospheric Research, and President of the American Meteorological Society. strongly that the furthering of science must be nurtured through the open exchange of ideas amongst scientists. 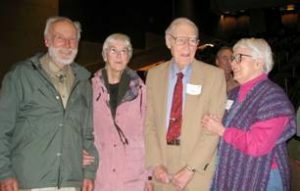 To that end, he planned to fund an Endowed Lectureship in Experimental Meteorology for the Atmospheric Sciences Department at the University of Washington where he had worked for 42 years. Peter Hobbs was deeply involved all his working life in the field of experimental meteorology which ranges from the microscale, through the mesoscale, up to the global scale, and includes both the physics and chemistry of the atmosphere. The common threads in this field are the ubiquitous roles played by aerosols, clouds and precipitation in the atmosphere. The gift to establish this endowed lectureship was made in loving memory of Peter by his wife and three sons. 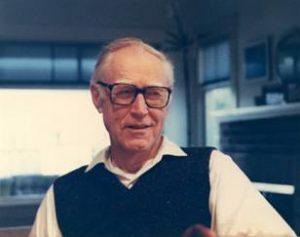 Professor Peter V. Hobbs was a faculty member of Atmospheric Sciences at the University of Washington from 1963 to 2005. He received his B.Sc. and Ph.D.
degrees in Physics from the Imperial College of Science and Technology, University of London, in 1960 and 1963, respectively. Director of the Cloud and Aerosol Research Group at the University of Washington from 1963 to 2005. Principal research interests were cloud and precipitation physics, mesoscale meteorology, atmospheric chemistry and air pollution. In addition to his steady stream of discoveries about all aspects of clouds—published in 340 papers—Hobbs advised more than 50 graduate students after arriving at the University of Washington, repopulating the field of atmospheric physics. 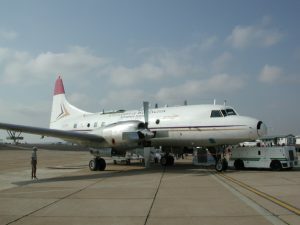 None of this would have been possible had Hobbs not had a talent for stringing together the funds for aircraft for 40 years, starting with a WWII vintage bomber previously owned by eccentric billionaire aviator Howard Hughes. For more information on this and other public lectures given by the department, please see this page.